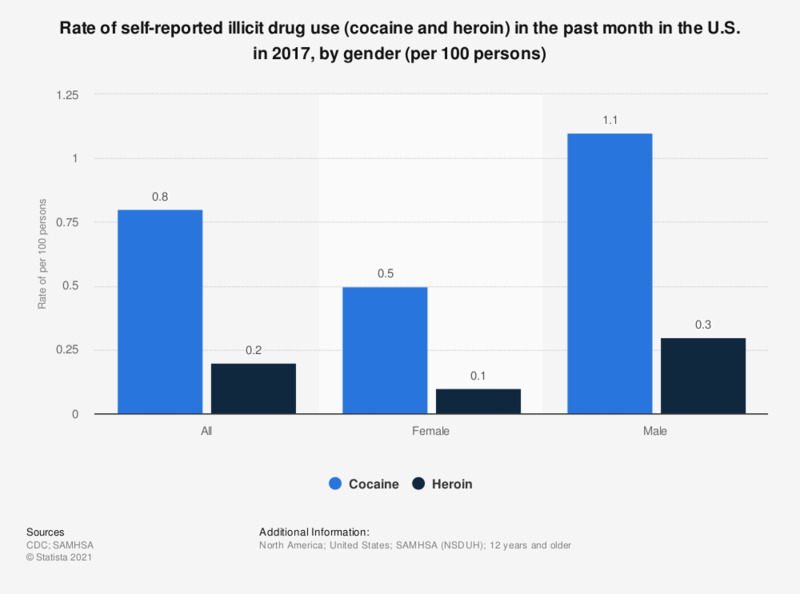 This statistic depicts the rate of self-reported illicit drug use (cocaine and heroin) in the past month in the U.S. in 2014, by gender. Overall, the rate (percentage) for self-reported illicit heroin use stood at 0.2, while the rate stood at 0.6 for cocaine use. NSDUH presents these as prevalence estimates in the form of percentages, rounded to the nearest tenth of a percent.